With a dull opening scene that fails to incite excitement amongst viewers concerning the two hours that follow (also see this year’s Pirates… film), Holmes 2 constantly relies on Ritchie’s visual talents to hold the attention of the fidgety. The director once again fills the screen with the sleuth’s overstylized precognitive visions, CG renderings of the inner workings of anitquated weaponry, and those strange quick-slow-quick-quick-slow action sequences. The film assumes that murky color scheme of deep blues and impenetrable blacks that seems to pass as “style” for Hollywood execs these days. Worth a watch with the family, but if you’re looking to escape the uncomfortable confines of your holiday home then go see The Descendants or one of the other worthwhile films currently playing in a theater near you. 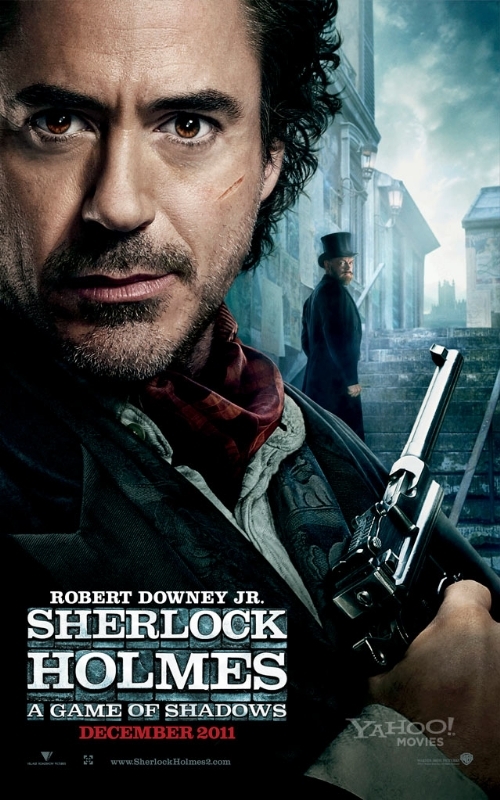 Sherlock Holmes: A Game of Shadows opens in Philly-area theaters today.